1. Constipation. 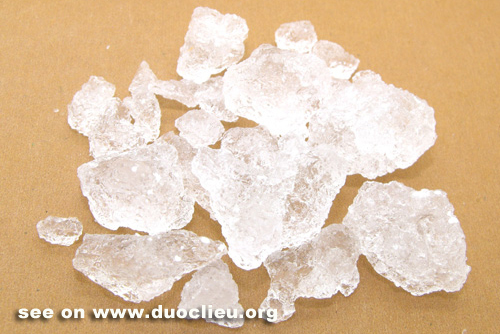 Glauber's salt (Mangxiao) is used with Rhubarb (Dahuang) in the formula Dachengqi Tang. 2. Sore throat, ulcerated mouth, red eyes or boils. Glauber's salt (Mangxiao) is used with Sodium borate (Pengsha) and Borneol (Bingpian) for external use.